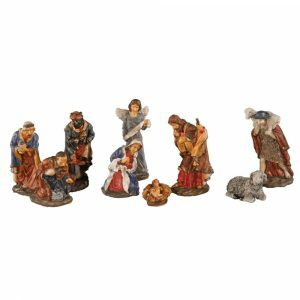 This Small Nativity Scene depicts an image that is timeless and well-suited to the holidays. These come in an assortment of two different styles, and they both convey the same traditional message that will bring meaning and sentimentality to your holiday festivities. 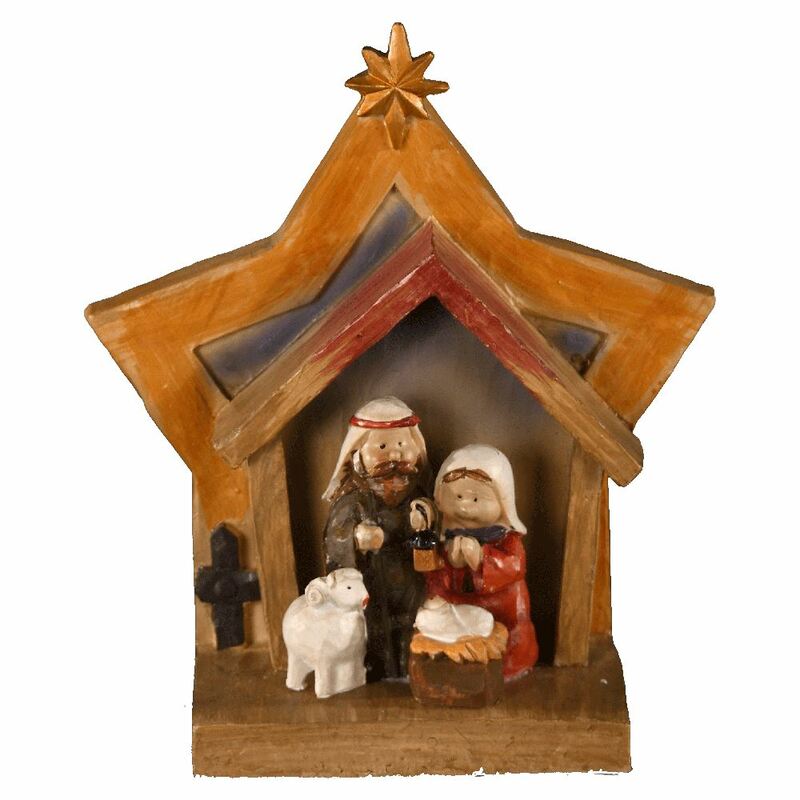 Enjoy this cute knick-knack on a table or shelf, incorporated into an arrangement or grouping of holiday figurines. These would also be pragmatic for work, fitting well on even the smallest desk or work-space. These measure around 16cm in width and are approximately 18cm in height. Add this item to your holiday gift-shopping list and give it to someone who you want to remember in a special way this holiday.